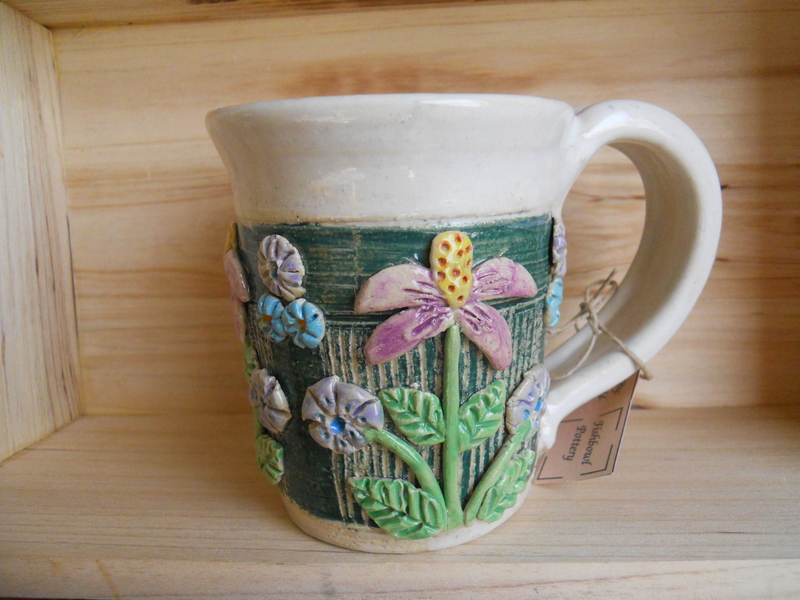 Today I decided to make my way to the 66th annual Salem Art Fair and Festival. Held the third weekend in July, this juried art fair features over 200 regional, national, and international artists. Twenty-five years ago we moved to Salem in July, and I think the Salem Art Fair is one of the first best things we discovered about our new home. The artwork is always of high quality, and there are items at all price points. It’s always a lot of fun to see if you can find that special piece that speaks to you. I loved the canopy of old oak trees that provided much-needed shade at Bush’s Pasture Park, on this day when it was nearly 100 degrees by 1:00. The heat did me in. I headed home, slightly burnt and somewhat disappointed that I was done for the day. The festival continues tomorrow; I can always go back if it calls to me. I found just two treasures to bring home, but I was very pleased with them. The first is the bar of handmade soap I was looking for to send to my swap partner in the Summer Spa Swap we’re having in my Ravelry group. If you missed this swap, keep an eye out for the next one! (But I digress!) I found ArtSoap, which is made by creatively arranging pieces of glycerine soap and then slicing them – think millefiori. The ArtSoap is definitely a unique look, but it smells divine! I am hopeful that my swap partner will like it. 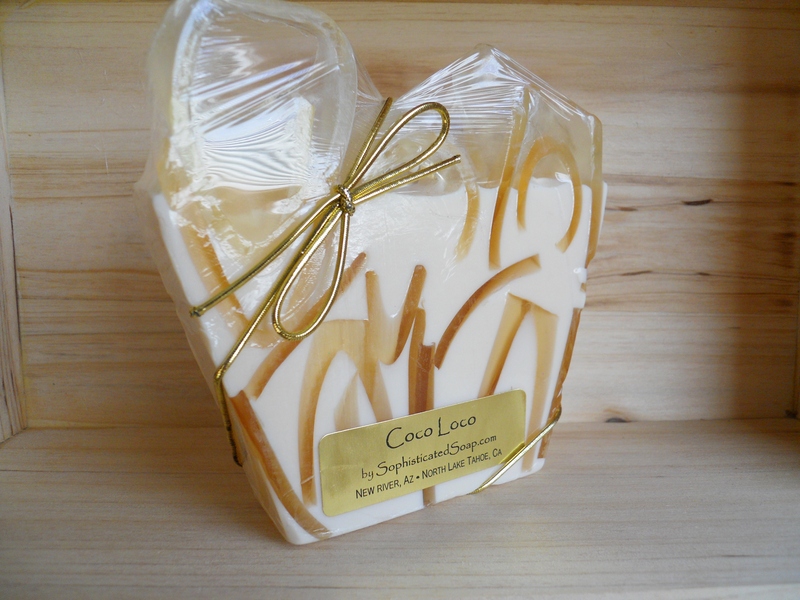 Their website is sophisticatedsoap.com. 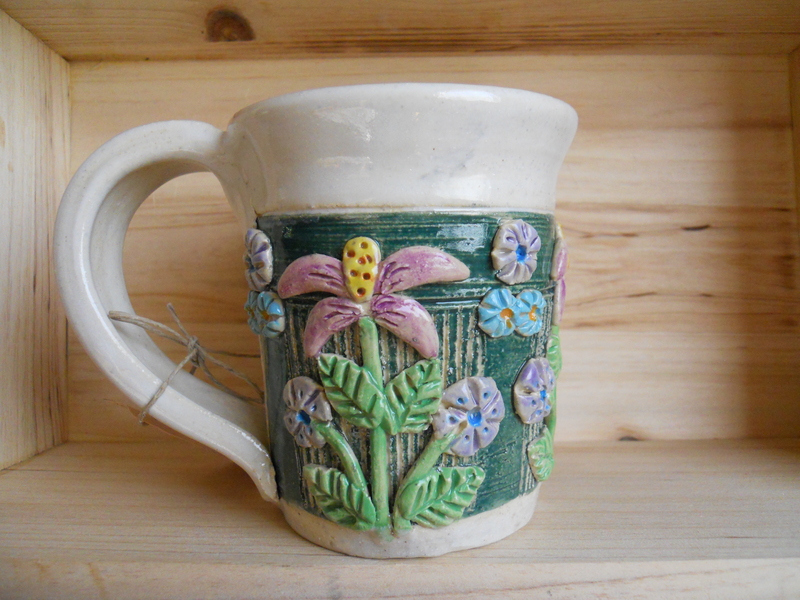 I also found this sweet coneflower mug made by Fishbowl Pottery. I just love it and think the design is perfect! 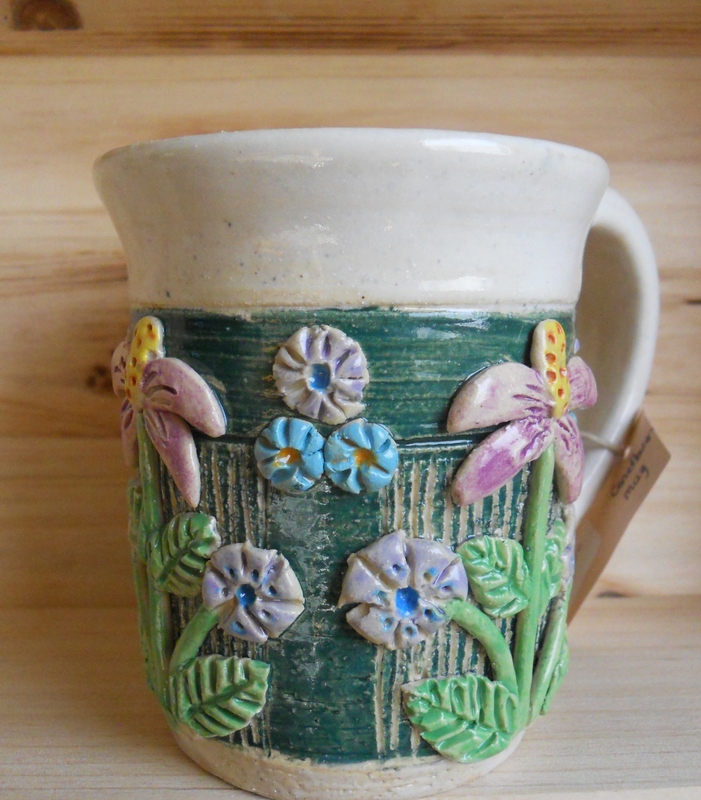 I love the colors and the sculptural texture of the flowers. Love! 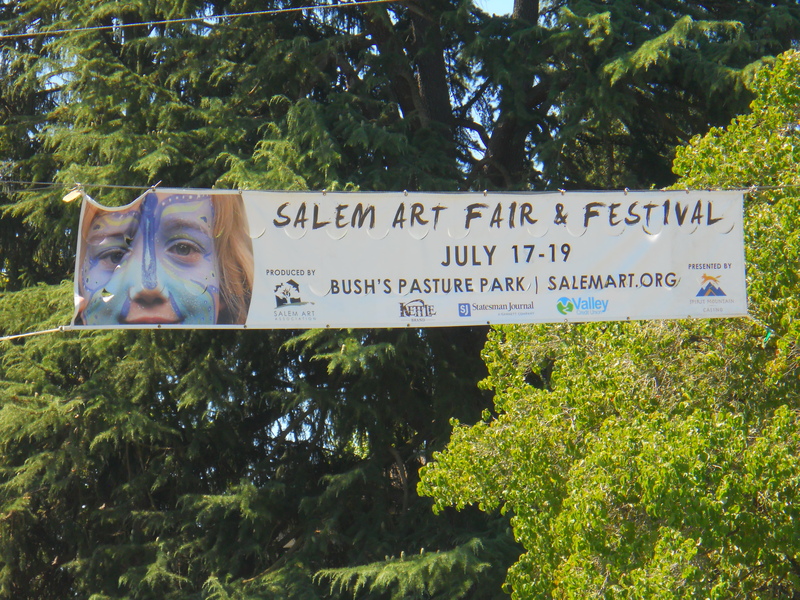 I hope you have enjoyed checking out the Salem Art Fair & Festival with me. I didn’t even mention the food, the live music at the two bandstands, and the performances by the Children’s Educational Theatre! If you ever have the chance to visit, it is well worth the trip. Mmmmm, the soap looks gorgeous, and love that mug. Sounds like a wonderful time. Thank you, Patricia. We are very fortunate to have this festival practically in our back yard!!! I like the Salem Art Fair. Maybe I can plan it in next year. That’s a beautiful mug. 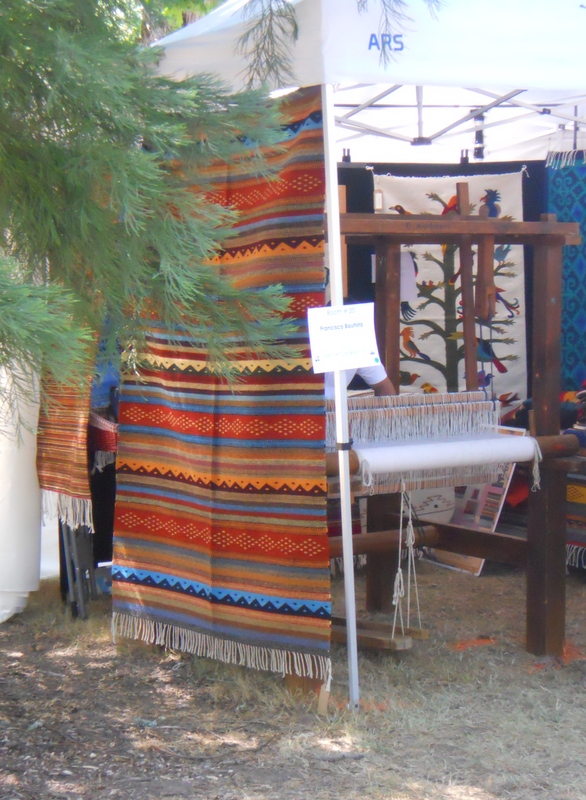 I love going to different Art and Craft fairs and festivals. You find such unique stuff there. Thank you, and I agree. It’s how I feel about fiber festivals, as well. There will definitely be a post about those in the future! This looks fun. I love local pride. That soap looks like it smells wonderful. I agree with you about local! And the soap does smell wonderful!! !